Info from Andrew Wood – The META coal mine, brick work & briquetting plant was named after Meta Mary Graham Mitchell. She was the mother of the Managing Director of the Alloa Coal Company, Sir Harold Paton Mitchell. 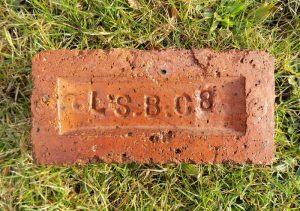 After the mine was nationalised in 1947, the bricks were marked SBC. 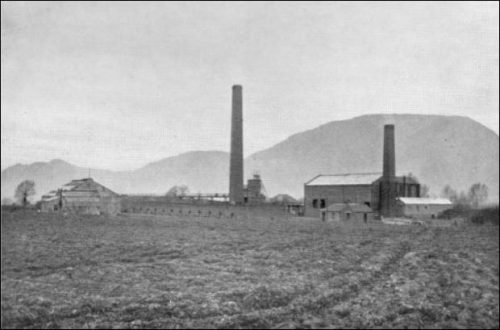 Alloa Coal Co Ltd – Meta Brickworks, Fishcross, Clackmannanshire – They owned 2 mines and mined both coal and fireclay. One shaft accessed a eep mine of ,274 feet , the other was a surface mine. 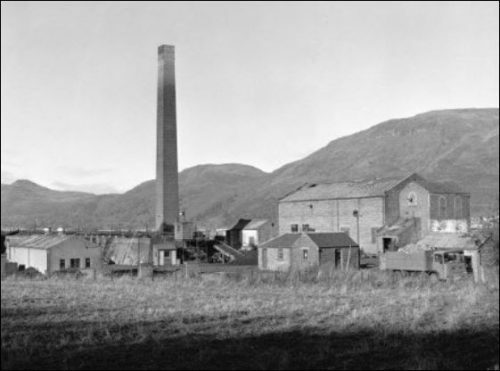 In 1936 – The Board of the Alloa Coal Co set up a brickworks at the Meta Pit. The bricks utilised bing or blaes waste. 24chamber Hoffman Continuos Kiln with an output of 30, 000 bricks per day. In March 1942 the works closed down following a massive down turn in brick demand, due in main to little construction work taking place during the war. The kiln was a Hoffmann continuous kiln with 24 chambers. It was built by Cleghorn, Newmains. 13.5 m wide x 64.5m long. Circular chimney 3.6m diam at ground level. 36.6 m high. Below – 12/08/1935 – Dundee Evening Telegraph. – Alloa Coal Company plan to build a large brick making plant at Devon. 50, 000 bricks per day are targeted. 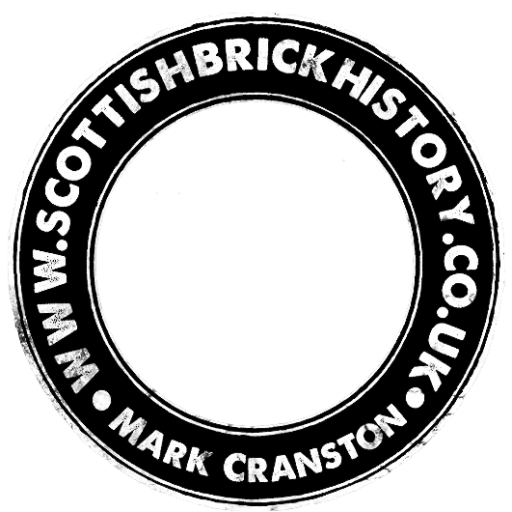 Below – 02/01/1937 – The Scotsman Alloa Coal Company open brick works in May 1936…..in May ( 1936) a brick making plant was erected and so great has been the demand for these bricks that the Company is in the process of installing additional plant to double production. 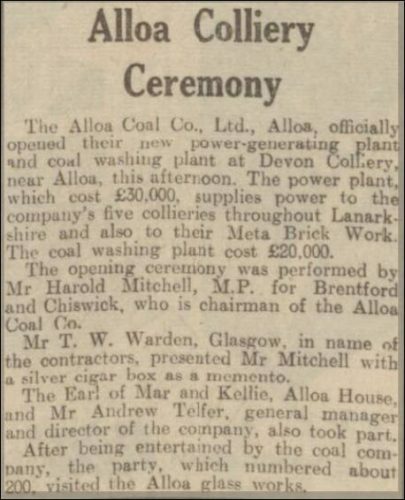 Below – 06/12/1938 – Dundee Evening Telegraph – Alloa Coal open a new power plant which generates electricty for their 5 colleries and the Meta brickworks. 1940’s – The Meta Colliery, Clackmannan, owned by the Alloa Coal Company, had one deep mine shaft (2,274 feet) and one surface mine. It mined both coal and fireclay, and could supply its own brickworks with coal ‘on the spot’. c.1942 – Works close due to a downturn in brick sales. c. 1945 – The Meta brickworks were re-established. 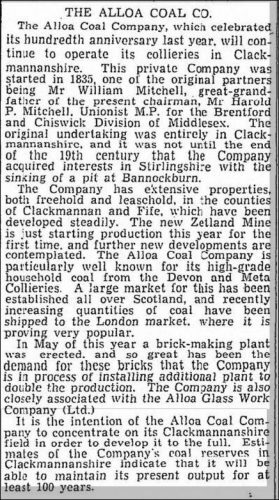 1947 – The Meta brickworks were taken over by NCB – The National Coal Board. 07/07/1951 – St Andrews Citizen – Scarcity of bricks in St Andrews. NCB asked if they can transport from elsewhere but they state that their brickworks including Brucefield and Meta were heavily committed and could not help. 1981 – It is believed the Meta brickworks closed for the last time. Below – Photo of the Meta Brick Work and Briquetting Plant – unknown date. 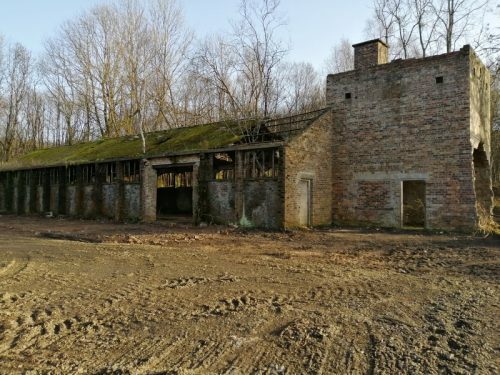 Below – Meta brickworks aka Old Sauchie Tower brickworks. – unknown date. 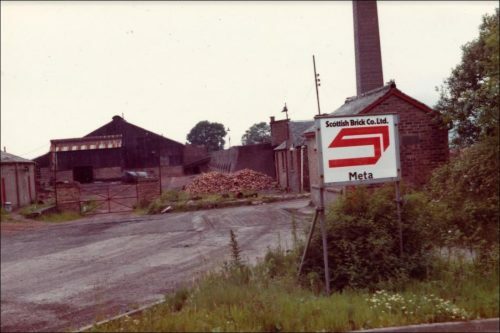 Below – Photograph showing the Meta brickworks following the takeover in 1969 by the Scottish Brick Company Limited (SBC) – The origins of the photo are unknown.